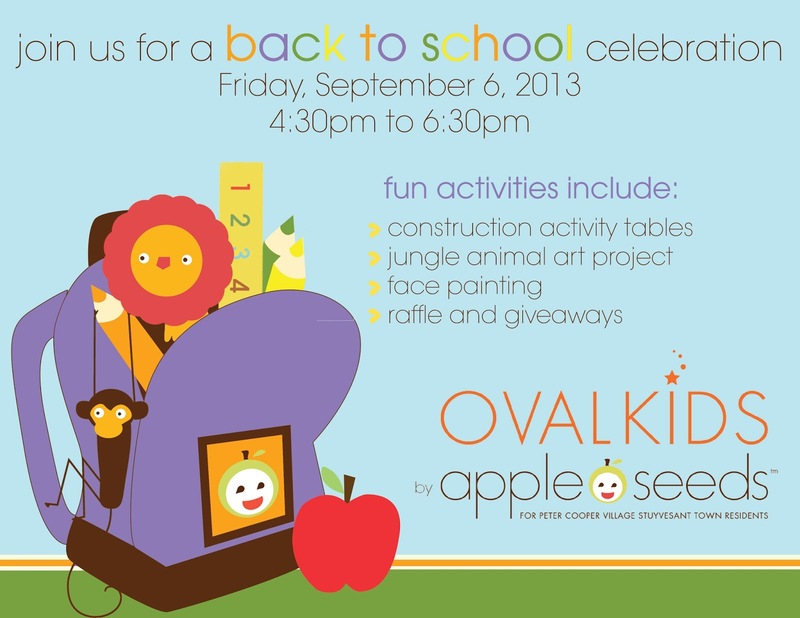 Oval Kids by apple seeds: FREE back to school event! FREE back to school event at Oval Kids by apple seeds on Friday, September 6th! Open to all Peter Cooper Village Stuyvesant Town residents!